I would like to thank you for your help with my translation and interpreting requirements. Your company’s speed and efficiency in the translation of my documents and letters has made consultation with my Lithuanian colleague much easier than I could have hoped for. The interpreter who attended was polite, professional and a credit to your company. 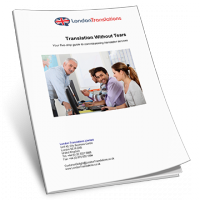 A first class service that I would recommend to any company needing help with translation or interpreting. 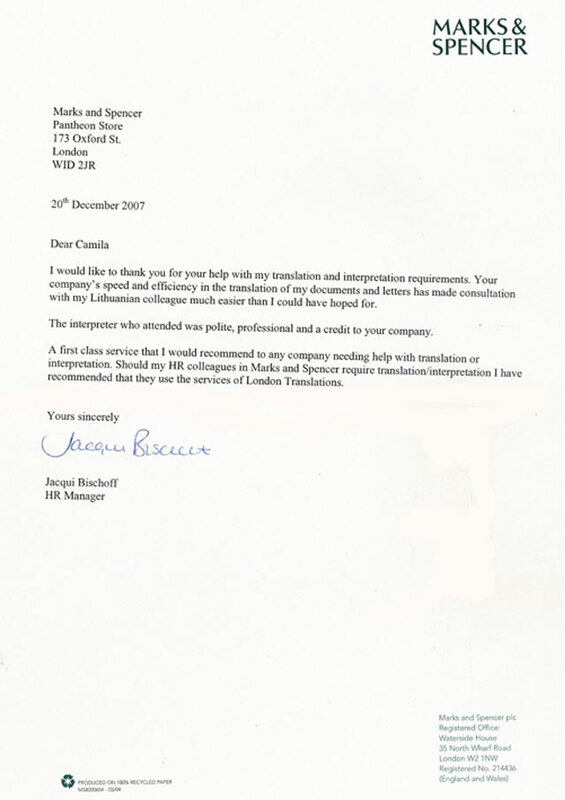 Should my HR colleagues in Marks and Spencer require translation/interpretation I have recommended that they use the services of London Translations.